Dave 'Dee' Harman, Trevor 'Dozy' Ward-Davies, Anthony Stephen 'Beaky' Carpenter, Michael 'Mick' Wilson and Ian 'Tich' Amey formed 'Dave Dee, Dozy, Beaky, Mick & Tich', an amalgam of their nicknames in the late Sixties. One of their many successful singles between 1965 and 1969 was the nonsensical 'Zabadak! ', released in the autumn on 1967. 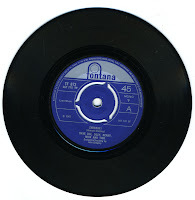 The single reached number 3 in the UK singles chart and the Dutch Top 40.